I thought it would be fun having a look at some unlikely couples. 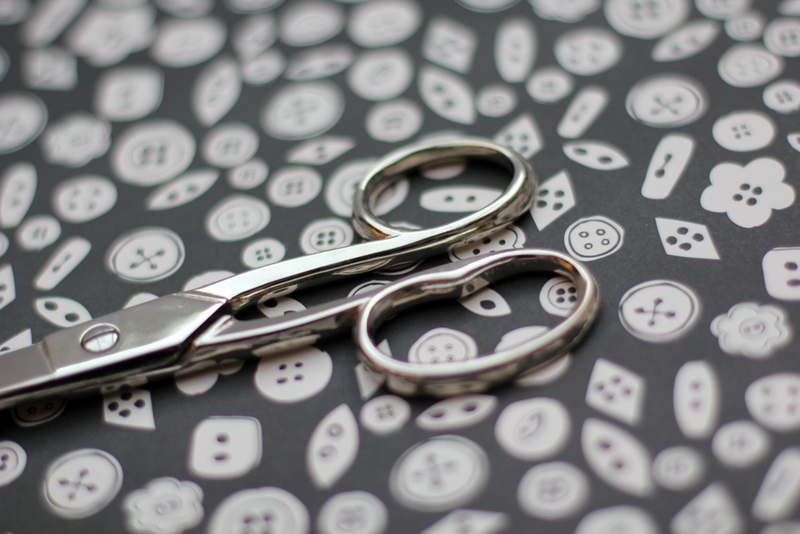 I’ll share two pattern options for sewing projects – one that can be done in an evening and one that will keep you busy for a weekend. Shall we have a look? Are you looking for the perfect jeans project? If you need a new pair of jeans by tomorrow – Mia to the rescue! The Mia Jeans pattern by Sew Over It (included in the ebook My Capsule Wardrobe) is the perfect ‘very quick & perfect fit’ pattern for you. I have made 4 pairs so far and they all turned out amazing. The pattern comes together really quick, the only two trickier bits being the front fly and the patch pockets in the back. Fitting is made very easy with a generous seam allowance that’s included in the pattern. I really recommend checking out Sew Over It’s Youtube channel for the video on constructing the front fly. My tip: choose a stretch denim fabric to make fitting even easier! You finally want to tackle that masterpiece jeans project of yours that’s been on your list for ages? The Ginger Jeans by Closet Case Patterns is a very well designed five-pockets-jeans pattern with a higher back rise, belt loops, rivets and all! The pattern is incredibly popular and known for a flattering fit and a professional look. You’ll need more supplies compared to Mia, but this is a project of love and a masterpiece you will be proud of! In Germany we say it’s for those with “patience and spittle”. My tip: Make sure you have all the supplies ready by the time your sewing weekend starts, so you can work without frustrating shopping runs. Take your time and enjoy the ride! There are just soo many great blouse patterns, but these two are my current favourites. The Silk Cami (Sew Over It) is such a satisfying quick sew. I can’t recommend it enough. It comes together very quick: no fastenings, bias binding or darts! It’s a basic French seamed sleeveless cami top finished at the neckline with a facing. You’ll need very little fabric and very little time! I love to use this pattern for hacks, such as this dress. It probably doesn’t even count as a blouse, as there are no sleeves or anything involved. But this is such an elegant little garment, it is more than just a top. My tip: Spend some money on a high quality polyester, cotton lawn or silk fabric. You won’t need much fabric, so you can go for quality over quantity. 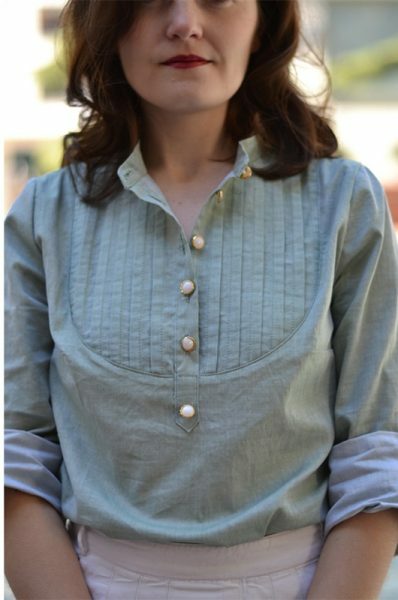 If you want to take your time and get into more technical handiwork, the Carme Blouse by Pauline Alice Patterns is a great project. It’s a sophisticated-looking, but versatile blouse. It offers a couple of challenges such as pin tucks, a small mao collar, a front yoke, a button placket and sleeve tabs. The instructions are very easy to follow and you’ll also find sewalong videos for this project on Youtube. My tip: Instead of just following the pattern markings for the pin tucks, take your time and measure – press – sew one by one. I found that measuring the intervals gives a much neater outcome. 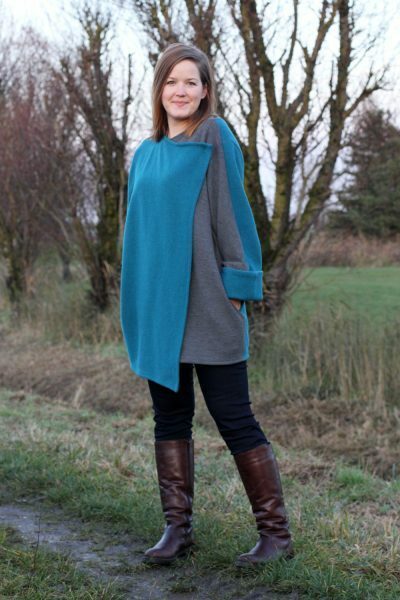 The Burdastyle pattern 09/2015 #117A is such a rewarding little project. Not much effort but making a big impact. View B is belted and slightly shorter than View A. The pattern is pretty brilliant as long as you use the right fabric. They’re asking for double-sided wool because it comes without lining. Therefore, it’s a really quick, simple sew. No interfacing, no lining, no bindings. It’s pretty much just three pattern pieces: front, back and back sleeve (plus pockets). The sleeves are two pieces. The front one is cut as a kimono sleeve and part of the front bodice pattern. I got many compliments on this coat and people can’t believe I made it myself. You can check out my version here. No-sweat coat making with this little number! My tip: Find a show-stopper fabric in a bold colour. Make sure your fabric is double-sided! 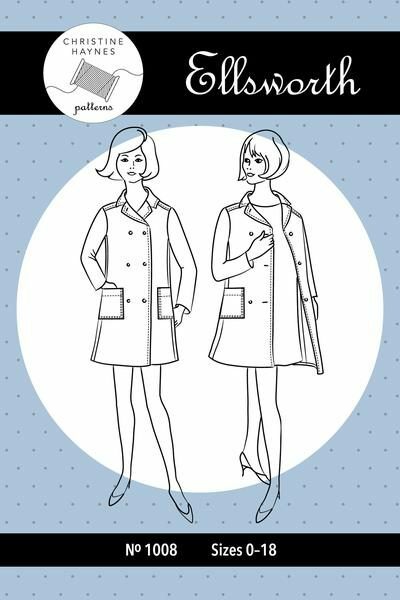 The Ellsworth Coat by Christine Haynes is a fully lined classic 1960’s-inspired double breasted overcoat. You can go topstitching galore on this one! 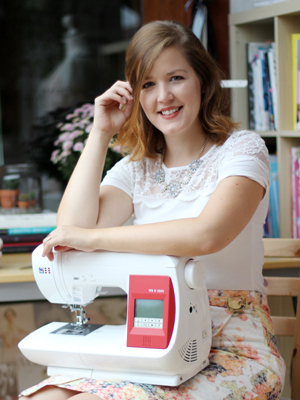 There’s a collar, lots of buttons and buttonholes, pockets, lining… basically everything you want and more when your sewing mojo is top-notch and you have the whole weekend in front of you. Add a season of Game of Thrones or Homeland to the mix and you’re good to go! My Tip: If you’re planning on using a patterned fabric, buy a little extra and take your time before you cut to get the pattern matching right. Skirts are generally easygoing and quick projects. It depends on pleating, button plackets, zips or pockets how much time you’ll need. The Ultimate Pencil Skirt by Sew Over It is one of my all-time favourite patterns. It’s very elegant but simple, works also as a mini skirt and can be made in woven or knitted fabrics (I tested this!). The trickiest part of this skirt is at most the concealed side zip. I made a version with a exposed front zip which also worked brilliantly. I’ve made many versions and hacks of this skirt, it’s the perfect base once you got the fit right. I made a faux-wrap hack with belt-and-all. I even based the design of my wedding dress on this pattern! It’s so very versatile, it’s definitely worth buying. My Tip: Find a fabric with a little stretch and focus on getting a perfect fit. It’s a great base for many future skirt projects. 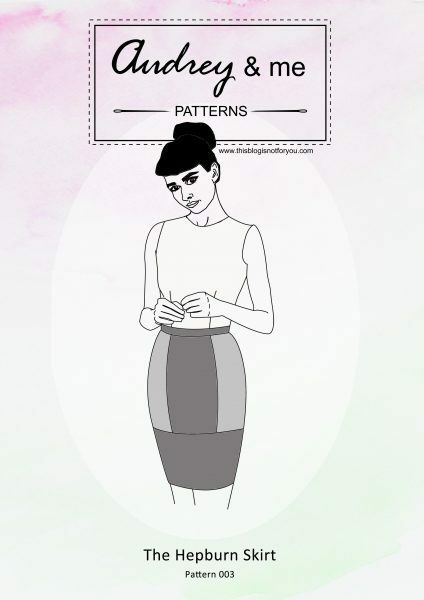 My very own Hepburn Skirt PDF pattern is another great option for a high-waisted pencil skirt. The vertical and horizontal seam lines are perfect for colour-blocking and give you some options for experimenting with style lines and colours. Cutting, sewing, pressing and finishing seams takes a little bit longer, although the skirt is fairly easy to sew. It’s certainly a project for a confident beginner to tackle. My Tip: Depending on the type of fabric you choose, you might want to take the time to add a lining, as well. Thus, you prevent the skirt from riding up when you walk. Did you find this helpful? Would you like to see more content like this? And what are your evening vs. weekend pattern recommendations? Please don’t be shy and let me know in the comments! Next time we’ll have a look at blazers, cardigans, trousers and dresses! YES YES YES to more posts like this, Charlie!! I am the absolute WORST at judging how long and how involved garment projects will be. The only thing I hate more than jeans shopping is bra shopping or bathing suit shopping, but I’ve hesitated to attempt jeans. 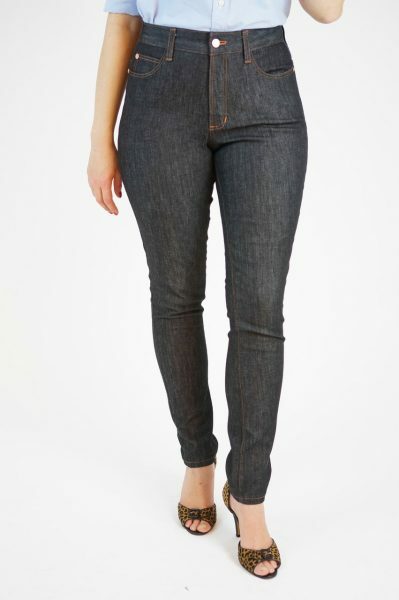 It would be so awesome to have a pair that fit through the hips and thighs without gaping at the back waist and an awful low-rise muffin top monster… So I’m booking the Mia pattern as a possible test-the-jeans-waters pattern. The only thing I would say is that the Silk Cami from Sew Over It would not be as quick and easy for someone with D cup or larger boobage to contend with. I would definitely need to locate the bust point and create my own dart using the slash-and-spread method because if I just went according to my full bust measurement the neck and armholes would be gaping, but if I made a smaller size without adding a FBA dart it would pull across the bust. Been there, done that… So for me, it would be a lot faster to start with a pattern that already had a bust dart. In fact, I have better luck with knits fitting straight out of the pattern package, so I would plan more time for any garment where I’m having to fit woven fabrics to my lumps and bumps. 🙂 I’m also digging that Ultimate Pencil Skirt, though, and I could use a skirt like that in a few basic colors… I’m looking forward to your pattern picks for dresses and cardigans next time! 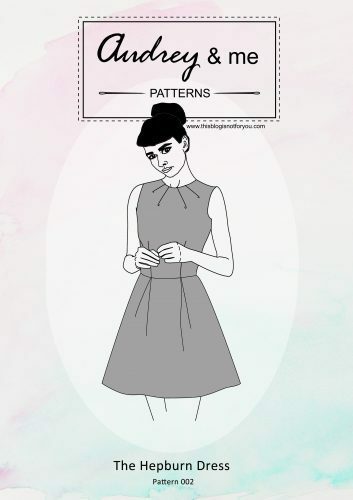 I don’t get a chance to sew garment projects as often as I would like, and a recommendation from someone who has already made a pattern successfully is a huge confidence booster! And YES, you’re absolutely right. I’m more or less talking sewing patterns straight from the envelope. Once you have to make major fitting adjustments, an evening won’t be enough. I try not to overfit patterns, but I also am very lucky to fit the standard sizes well enough. Yep, you’re definitely right – if the fit of the pattern isn’t right, it does take a lot longer! I used to try A LOT of different patterns and tried to repeat them, but now I totally get the love for TNT patterns. Quicker patterns are a lot less pain to fit, as it does not take as long to sew a muslin over and over again.